Tipper, grab and skip hire firm, NJB Recycling in Wimbledon, has taken on its latest DAF CF 440 FAD 8×4 tipper / grab eight-wheeler for its specialist basement excavation business. Inspired by the London Olympics in 2012, NJB’s fleet is adorned with union flag colours and London skyline livery. With a recent investment totalling £700,000 (including thee new DAF skip-loaders and three new DAF tipper / grabs), this is the latest delivery of two DAF CF construction eight-wheelers to join NJB’s fleet at a time when the company is enjoying a period of growth. The CF’s new Euro-6 FAD chassis arrangement provides bodybuilders with the ideal platform to install a wide range of ancillary equipment. 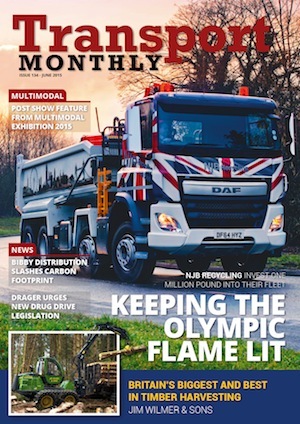 DAF Trucks reports that increasing numbers of bodybuilders now prefer the CF 8×4 for providing a clean, flexible layout. NJB’s latest CF delivery comes with Marshall tipper-bodywork and an Epsilon E120 crane and grab. 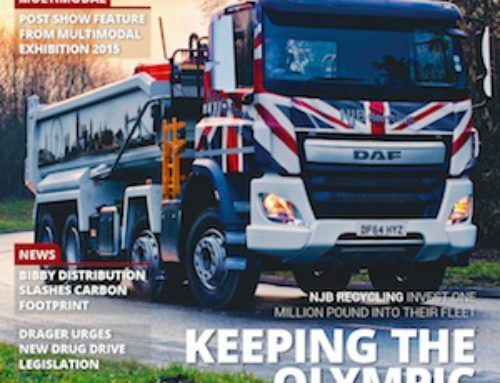 “We find the DAF chassis to be a tough and reliable vehicle,” said Managing Director, Jamie Bowie, “and that’s all it has to be for our operation. The bonus comes with the fact that our driver’s love them. Manoeuvring a CF 8×4 in and around London is a straightforward affair and one that I know my drivers really appreciate. Comfort levels are high and the DAF badge on the front demonstrates to our customers that we invest in quality equipment. NJB’s latest CF is acquired on a four-year Hire Purchase package through DAF dealer North West Trucks, although repair and maintenance will be fulfilled by NJB’s local DAF dealer, HTC Croydon. The company, almost 100% DAF, and with its fleet in striking union flag livery, provides what it believes is a unique offering in the tipper and skip-hire sector; specific time slots whereby customers can expect arrival of its trucks to within the hour. “I know of no other waste company in the Capital that supplies its vehicles to this specific timeframe,” said Bowie, “and, with HTC as our maintenance and service provider, we’re ensured of maximum uptime – and that helps us keep our promise to our own customers.